Gutted you’re not in Shanghai for this week’s Shanghai Auto Show? Skoda feels your pain, which is one reason why they want fans, friends and customers all around the globe to participate in the world premiere of the concept vehicle in virtual reality. Smartphone users can experience the presentation of the brand’s first electric car and explore all the fine details of the Skoda Vision E by downloading the Skoda VR app for free from either Google Play or the App Store. Skoda’s new smartphone app enables a virtual 360-degree tour around the pioneering concept car. In addition, smartphone users can explore the new technologies behind the Skoda Vision E at their fingertips. 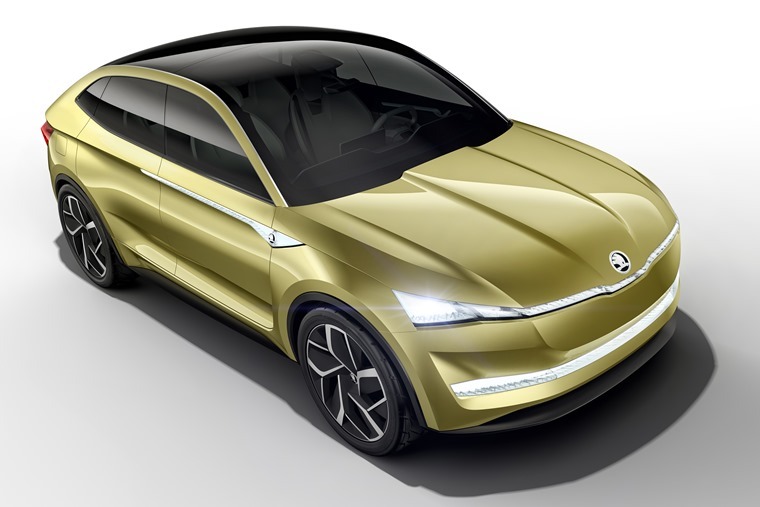 Though still a concept, the Vision E will give us an idea of what we can expect when Skoda release the on-the-road version in 2020. 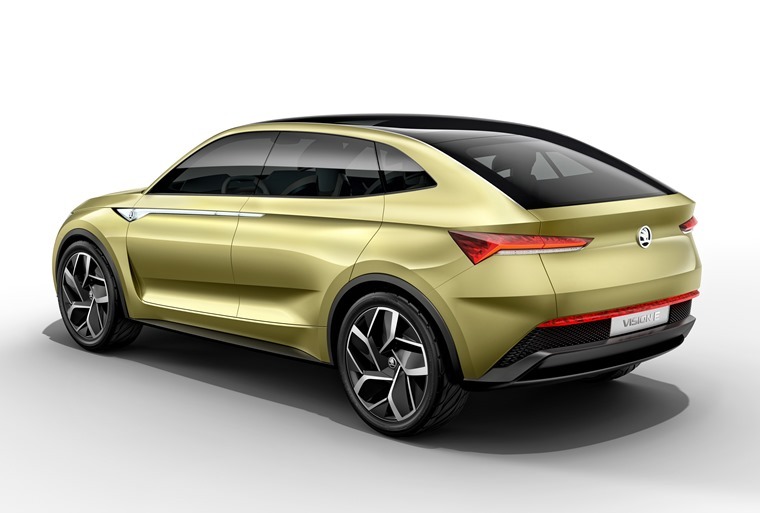 The Vision E will take the form of a large crossover and, while this is only a concept, we can expect many design traits to be carried over to production models. At the front, there’s a set of LED headlights that follow the styling cues of Skoda’s current range, while what Skoda is calling a ‘Phantom grille’, sits below them. At 4,645mm in length and sporting a wheelbase of 2,850mm, the Vision E is actually larger than the company’s current flagship Kodiaq SUV. Skoda says however, that this shouldn’t be treated as an all-out SUV, and that the “gently sloping roof line” resembles a coupe. The cabin is just as futuristic than the exterior, with the dashboard’s centre-piece being a large 12in touchscreen. It will feature Skoda’s most-advanced connectivity and infotainment tech when it enters production. This results in a top speed of 112mph, and a range of over 300 miles on a full charge. It’s likely that the batteries will be capable of charging to 80% in 30 minutes too, while several models will be available with differing ranges. Skoda says that this will be one of the best electric cars to date from a driver’s perspective. It claims that “the front- and rear-wheel drive is suitably adjusted to ensure the highest degree of stability, dynamism and safety at all times”. 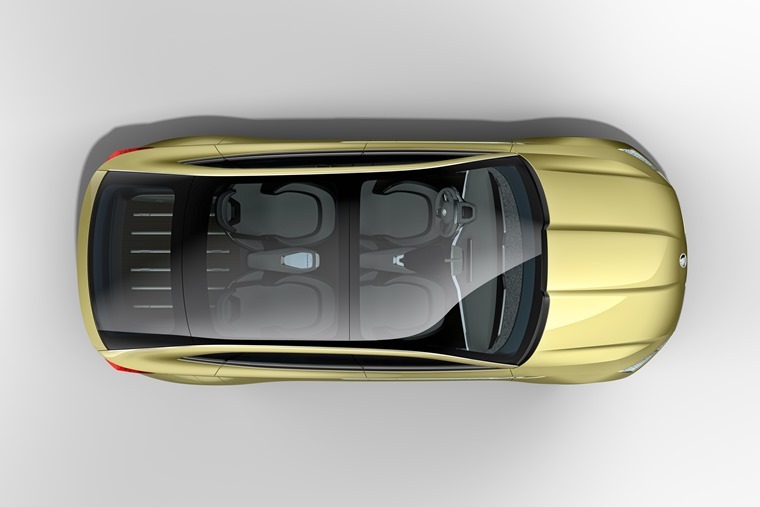 The Vision E will also feature level 3 autonomous driving. In other words it’ll be able to independently operate in traffic jams, search for free parking spaces and park itself without driver inputs.